Futurepreneurs Launchpad is a suite of enterprise education programs tailored for the context of schools, students and educators. Although enterprise, business and entrepreneurship are always an option and a credible career path, young people don’t know what they don’t know. Futurepreneurs Launchpad in collaboration with business, industry and schools work to enrich students learning of enterprise, business and entrepreneurship, by raising educational and career aspirations. 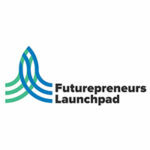 Futurepreneurs Launchpad Programs are authentic. They have been developed over many years by passionate, caring and real entrepreneurs to engage successful entrepreneurs and business people to ‘pay it forward’. In many communities Futurepreneurs Launchpad is a youth, community and economic development launchpad that empowers young people to self-actualisation and self-determination.